VitalZing MilkDrops were developed following the success of WaterDrops and demand for a natural alternative to flavoured milk. MilkDrops are essentially a milk flavour enhancer, making milk taste awesome! They contain no sugar, use natural ingredients and are made in New Zealand. Each small bottle contains 40 x 200ml servings, simply squeeze a few drops into milk for a banana, chocolate or strawberry taste. 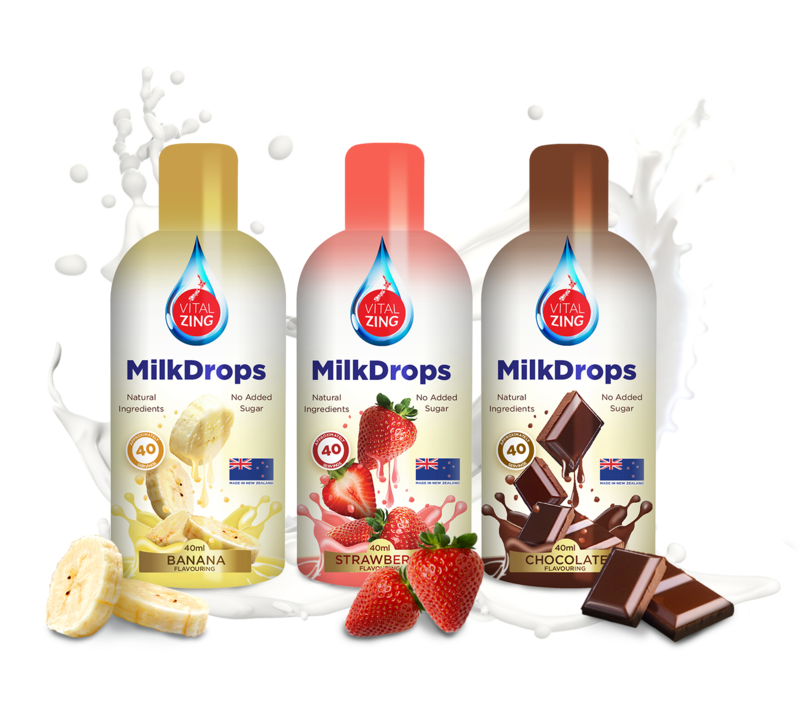 MilkDrops made their first public appearance at the 2015 Auckland Food show and were an instant hit! The range is now launching in New Zealand and will be available in supermarkets nationwide.